The NY Daily News reports Anthony Bourdain’s will was “filed in a New York court Thursday,” and it spelled out who will receive his $1.2 million in assets. 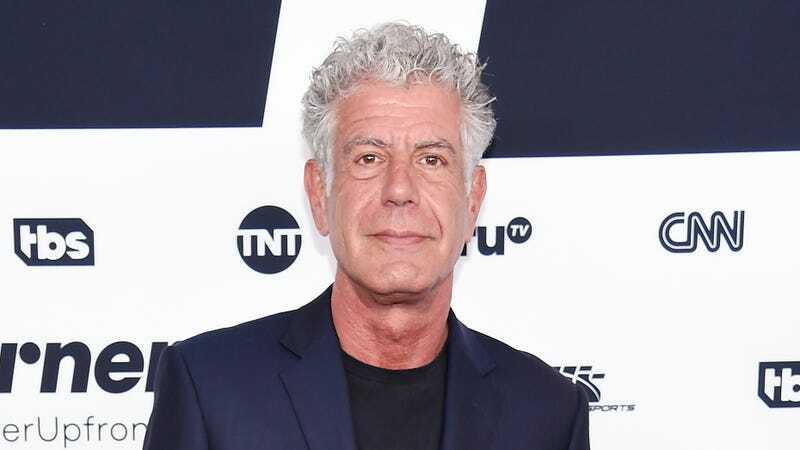 Bourdain had “$425k in cash, $250k in personal property, $35k in brokerage accounts, and about $500k in royalties and residuals,” the “bulk” of which will go to his 11-year-old daughter Ariane. Because she is a minor, “a guardian will be picked by the court...to safeguard the handling” of the inheritance. Six weeks ago my specialist called me and said, ‘You should start playing the Lotto’ He had rarely, if ever, seen such a small but very aggressive cancerous malignancy that could be defeated by a single surgery. I was elated and relieved that our European summer tour could go ahead. The spirit has been more than willing but I have to now accept that it is going to take longer than I would have wished for me to recover my full strength. Therefore, I must reluctantly cancel all the remaining engagements of this tour. Now, if you’ll excuse me, I have to go watch a YouTube video.